There are so many options out there today for those who want to lose weight and get healthy. The bad news is that many of those diet and exercise programs are proven to eventually fail. What can you do? One answer might be the 21 Day Fix program. This is a workout plan combined with a serious nutrition plan, one that promises to put you on a good track to success. It all begins with the 21 Day Fix shopping list. One of the most important points of weight loss is figuring out portion size. 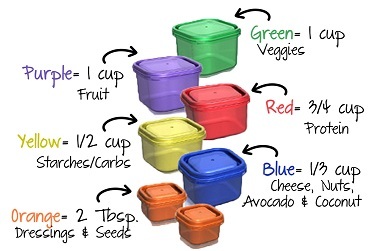 Fortunately, the 21 Day Fix allows you to do this by using containers of a certain size. You figure out what foods you need each day, as well as what your portion sizes are, and you divide those up among the containers. That way you do not eat anything more than what you had planned through your 21 Day Fix shopping list. The meal plan allows you to eat plenty of food, which is another key to success – if you are hungry, you will tend to eat more than you should. 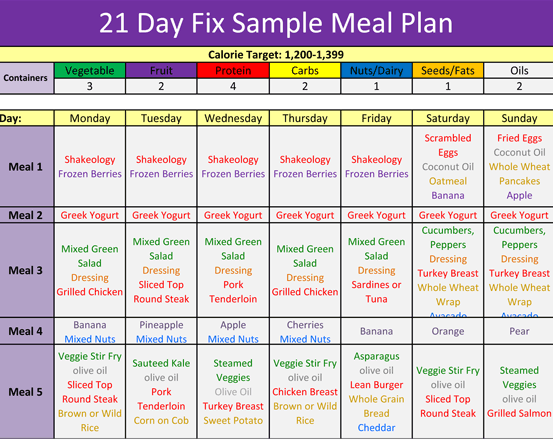 The foods on the 21 Day Fix shopping list include a huge variety of various items, everything from kale to sunflower seeds to goat cheese to English muffins. You get all the things you really like, and you divide those into the proper portion sizes. Here are some good examples of the food groups you can eat from, as well as a few foods that might strike your fancy. Proteins: Go for turkey, tilapia, chicken breast, and other lean meats. Protein burgers and veggie burgers are great for that craving you might have for red meat. Fruits: Oranges, pears, apples, watermelon, cantaloupe and berries should definitely be on your delicious 21 Day Fix shopping list. Vegetables: Almost anything in the produce aisle is okay – including peppers, tomatoes, onions, squash and so much more. Carbohydrates: Go only for complex carbs, like brown rice, oatmeal, sweet potatoes, black beans, whole grain tortillas and the like. Extras: Why not indulge? Goat cheese, avocado, hummus, cashews, coconut and more are on this list. Start with planning out your proper caloric intake. You can do this by multiplying your current weight by 11, then adding 400 to the total in order to get your caloric needs to maintain your weight. If you want to lose weight, subtract 750 from that number. Then look up the calorie bracket in the 21 Day Fix reference guide to figure out exactly how many containers you can eat in a day. Once you have done this, create a sample menu. Start planning out your meals, figuring out one day at a time. You can get plenty of help with this in the 21 Day Fix planner. Then make your 21 Day Fix shopping list. This list will have a multitude of foods on it. Be sure to stick with the proper portions and the best foods. Try not to buy a surplus, so you won’t be tempted to eat more than what you should. You want to buy enough to fit into the proper containers, and nothing more. 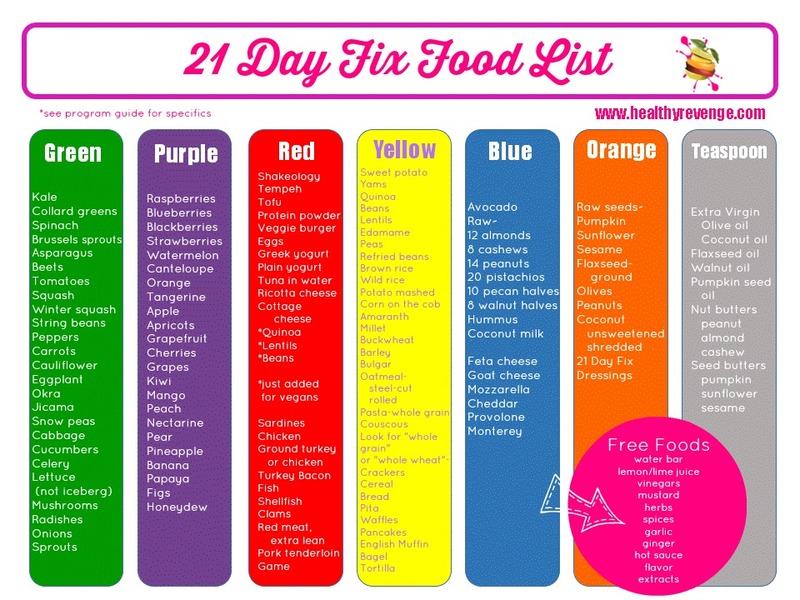 One of the best things about the 21 Day Fix is the opportunity to eat a wide variety of foods. Every day can be entirely different! Here are a few options for breakfast, lunch and dinner that might work wonders for you. Breakfast: Omelets, strawberry protein shake, quiche, pumpkin donuts, oatmeal with fruit, eggs and turkey bacon on whole-wheat toast. Lunch: Salads of all kinds, loaded with veggies. You might be able to do a protein shake or some soup with this one, too. Dinner: Salmon, cauliflower in buffalo sauce, swordfish, steak bowls, sprouted brown rice, kale and chickpeas, chicken lettuce wraps, chicken and rice, masala, and much more. How Many Carbs in Bacon?